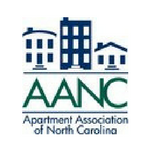 Here, you'll find original articles and re-posted articles about the Triangle Apartment Association, Multifamily Housing Industry, and more. Some articles require you to be logged in to read them. Use the drop-down menu "Topic/Category" to view a specific blog category. If you are a member of TAA and are logged into your account, you'll have access to an exclusive blog relevant to your current job type. Read more about the exclusive blogs here. Good News for Evictions Fees! TAA's 2018 Apartmentalize Trip Winner!